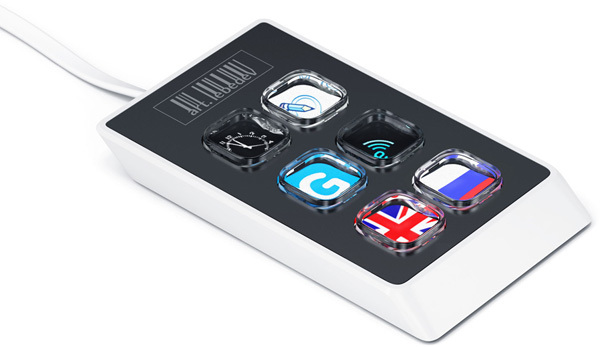 By Wesley Fenlon on Dec. 9, 2011 at 11 a.m.
Art Lebedev's second customizable OLED keyboard goes on sale in 2012 for over $1000. Is there any room in the technology world for such a product? 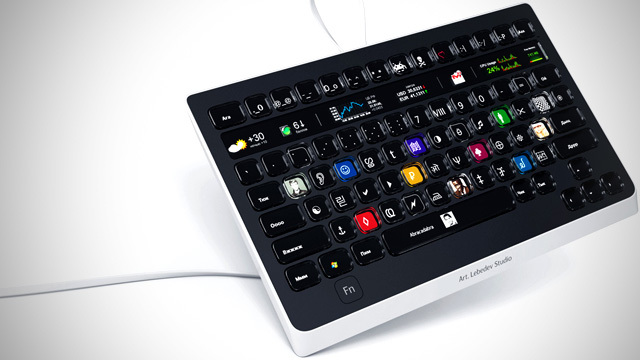 In 2007, Russian design studio Art Lebedev released a keyboard unlike any other. Every single button on the beautifully designed keyboard is fully customizable, but that's only a small part of its appeal. The keys also contain small 48x48 pixel OLEDs capable of displaying images, static or animated at a minimum of 10 fps. 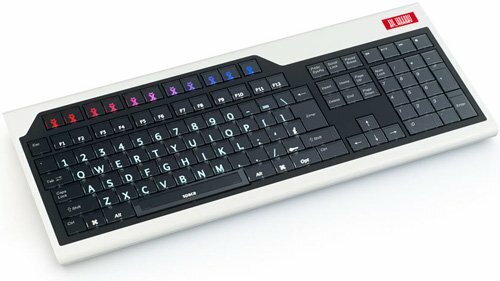 In total more than 100 individual OLEDs rest inside the Optimus Maximus keyboard, and its $2068 asking price reflects the extravagance of that design. Since the release of the Maximus Art Lebedev has promised a follow-up keyboard at a more affordable price. It showed off a prototype of that sequel, the Optimus Popularis, in May 2008. And again, in 2010. And again, in 2011. While Art Lebedev has chased its dream, the technology industry has passed it by, focusing on touchscreens over luxury programmable keyboards. 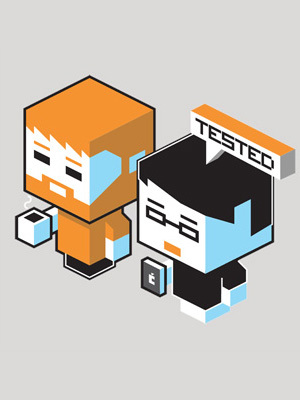 The Popularis will finally be ready to ship in July 2012, but will anyone be there to buy it? The Optimus Popularis has gone through a long, tumultous design history since the release of the Maximus keyboard in 2007. Art Lebedev first showed off a concept in 2008 that looked very similar to the Maximus. The key difference was how OLED technology was implemented. Instead of putting indivdual OLED screens inside the cap of every key, Lebedev overlaid transparent keys atop a single OLED display. Production was meant to start in late 2008 or 2009. The Optimus Popularis didn't show up again until 2010. When it re-appeared, the design has completely changed: the Popularis was a compact keyboard without a number pad. It featured an LED strip between function keys and the alphabet keys for displaying widgets. A shaky economy left Art Lebedev silent for the remainder of 2010; in Janauary 2011, the company announced work was back on. It's taken the entire year, but pre-orders are finally available an unusual six months early for the Popularis' July 2012 release. Despite the delay and the maturation of technology, the Optimus Popularis has only grown more expensive. What was meant to be a sub-$1000 keyboard costs $1086--and that's with dramatically fewer keys than it once had with a full-size layout. To compensate for the smaller design, Art Lebedev also created the Mini Six and Aux, two keyboard accessories programmable just like the Optimus line. The Six costs a ludicrous $376; the Aux is even more, at $534, but offers 15 customizable buttons. In the period of time Art Lebedev struggled to redesign and finish the Optimus Popularis, other companies have conceptualized, produced, and abandoned similar projects. Microsoft found the Adaptive Keyboard an interesting concept for its User Interface Software and Technology symposium, but never planned to enter it into production. Razer's Switchblade keyboard is, in fact, an entire computer system built around the Optimus' idea of programmable keys and a customizable display. It's supposedly going to be released in China, and will almost certainly cost less money than the Optimus Maximus. For the $300-$500 Art Lebedev's keyboard accessories cost, artists and designers can buy iPads to serve as user interface susbtitutes for programs like Photoshop. Gamers can buy keyboards for less than $200 that offer an exhaustive level of customization--minus the light-up LED keys, which are ultimately more about design than function. As an extension of our fingers--the interface between our minds and actions taken in a virtual space--a keyboard is there to be felt, not looked at. The more proficient you are with a keyboard, the less you look at it. Interesting as they are, Art Lebedev's keyboards do not uphold that functionality. Even if they cost half or a quarter of what they do now, they'd distract from the keyboard's ultimate goal. That doesn't mean adaptive keyboard technology can never work. It's cool, both as a concept and as a piece of artistic design. But work like Art Lebedev's can't be the entire selling point of a keyboard: it must deliver some fundamental improvement to the keyboard's functionality or offer style at an affordable price.